In the EU alone, osteoporosis patients account for some 500,000-hospital days each year, a figure that is likely to double during the next 50 years. It is clear that as the problem worsens, a solution is needed that can accelerate the accurate diagnosis of those at the highest risk for future fragility fractures. Osteoporotic fractures can be prevented through early diagnosis, exercise and the timely use of appropriate medication. The most important prerequisite for successful treatment is early, reliable and cost-effective diagnosis. 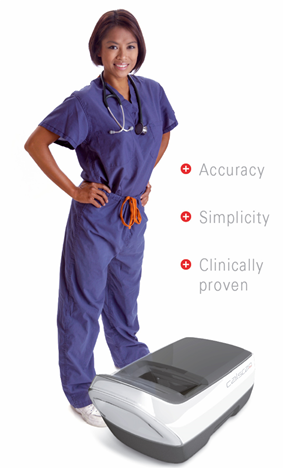 This is now possible with a compact and highly accurate tool at the “point of care” - DXL Calscan.